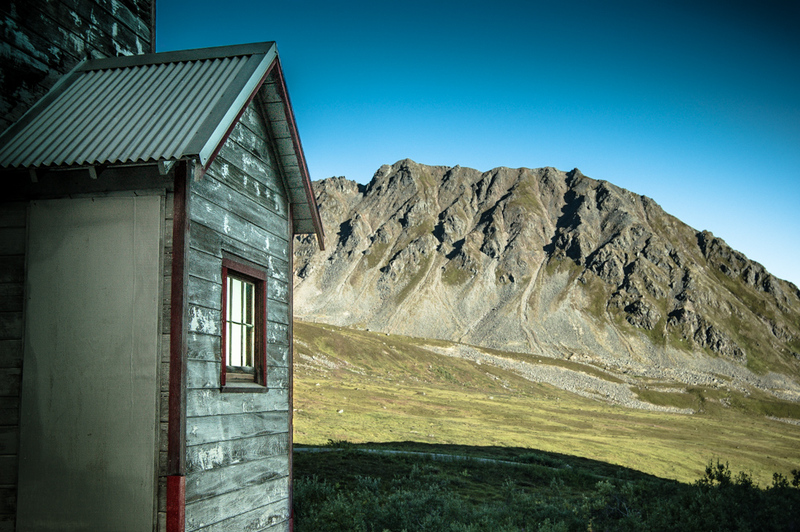 A side room of the Bunk House looks out across the Talkeetna Mountains at Independence Mine, Alaska. A bleak but incredibly beautiful view. Une photo très épurée à l’image du ciel. Ever since that TV series about some town in Alaska (where the guys run naked through the streets one day in winter), that state is high on my bucket list of places to visit. Your light management in this picture is really good. i do like the light you were able to capture in this scene, beautiful shot. Très beau paysage et une belle lumière !